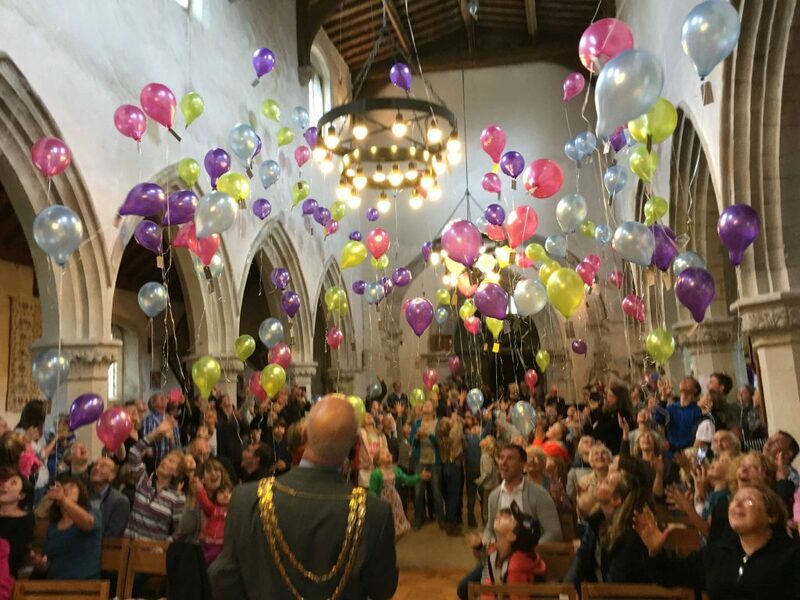 We had a great time on 30th September when villagers packed St Leonard’s to capacity for the balloon release to mark the official start of our fundraising campaign to save the church. We were honoured to have the Mayor and Mayoress of the Borough of Dacorum as guests of honour, and Trudi Hughes from Historic England as guest speaker. 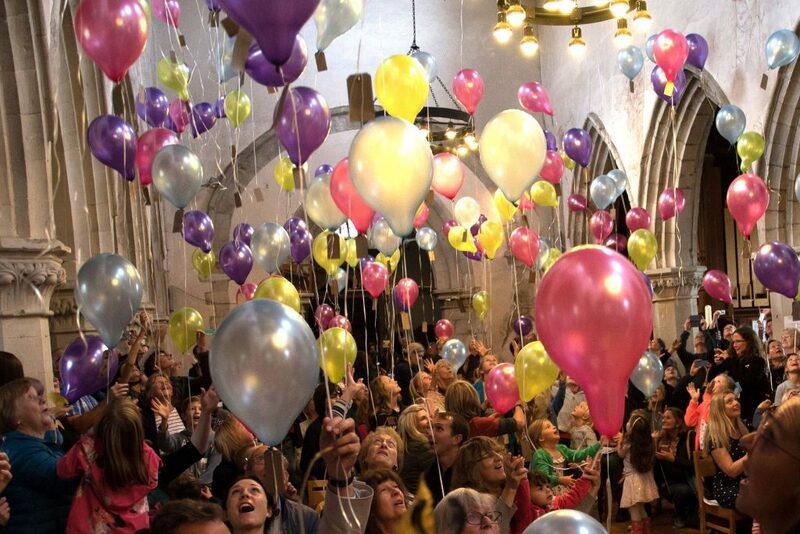 Everyone had written a personal message of hope for the church and the fundraising project, and these messages were carried up to the roof to the obvious delight of everyone who took part. As they drift back down, the messages will be collected and displayed on a board inside the church. 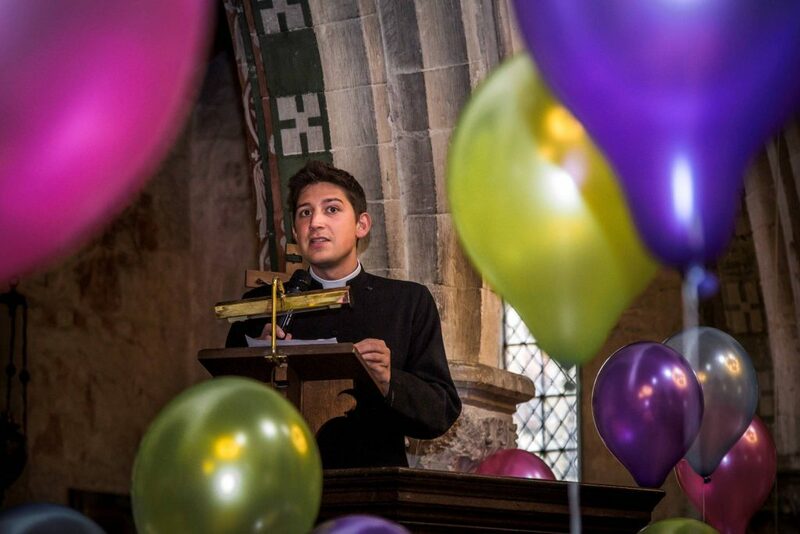 All in all it was a lovely event and a great boost for the fundraising team to feel such strong community spirit from the villagers of Flamstead as everyone joined to celebrate just how special St Leonard’s is to this whole community.